Best Way To Make Ebikes Go Faster! As a result of legal restrictions, the majority of electric bikes come with speed restrictions. This is not only a rule but a reality, as sensor installed on most e-bikes causes the motor to cut out when a certain speed is reached. In the UK and Europe, this speed limit lies at 15.5 miles per hour. For those of us with a need for speed, it can be more than a little frustrating being forced to maintain this speed even when travelling off-road. For many e-bike users, the hindrance of their speed being cut short is too much to bear. This is when it’s time to consider making some adjustments to allow your bike to go faster. There are many different ways to achieve this, some more complex than others. In a lot of cases, you are far more likely to succeed in owning a fast e-bike if you build it from scratch, although there are some ways in which you can improve the speed of your ready-built bike too. When you are attempting to adjust your e-bike to make it go faster, you will need to consider all three interlinked components to ensure that they are all able to handle the extra power: the motor, the battery and the controller. This means that it is not possible to increase the speed of your bike by simply increasing the battery’s voltage alone, as a motor which is unable to handle the voltage is likely to burn out. This is why a more powerful battery will in turn require a more powerful motor. In addition, your controller’s voltage must match that of your battery pack in order for it to handle the power. The speed and torque of your motor will all depend on its wattage – the higher, the faster. In order to cruise at 30mph, you are likely to need between 800-1000 watts of power. However, the effectiveness of this theory will depend on the gearing of the bike too. If you’re looking to fight the restrictions placed on your electric bike, then here are some tips and hacks to help you on your way. Increasing the air pressure on your tyres generally results in less resistance as you roll along, making this a very simple way to maximise your speed. For this, all you will need is a decent tyre pump, and if you want to get it just right then an air pressure measuring device too. The exact values you should follow may be found written on the tyres themselves, or otherwise in your user manual or on the manufacturer’s website. In addition to this, better quality tyres can also have a significant impact on the performance of your bike, allowing for a faster, smoother ride. In order to ensure your tyres can withstand faster, off-road speeds, you may want to consider replacing the tyres with moped or motorcycle tyres for added wear. At higher speeds, wind resistance is a big factor that stands to slow you down. This is why it pays to tuck in your posture when you cycle and wear tight fitting clothing in order to reduce this effect. If you are just cycling for fun rather than to get somewhere, you may also want to consider cycling with the wind rather than against it for added speed. Remaining in top gear is another simple trick to give your bike the resistance it needs to go faster and give it that extra push against the wind. 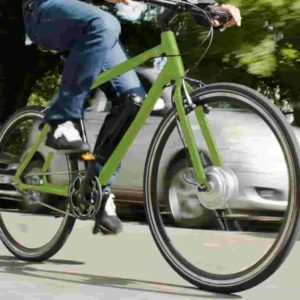 You can purchase and install tuning devices specifically designed to override the speed cut off restriction, allowing you to explore the real power of your e-bike. These work by tricking your system into thinking that the speed at which you are travelling is slower than it really is, thus preventing it from deactivating the motor at 15.5mph as it is likely programmed to do. Your bike determines your speed via a magnet sensor placed by the wheel which is linked up to the computer unit. A tuning tool consists of a small electronic device which can be installed in between these two components to alter the electric signals created by the magnet. The tuning device sends a lower speed reading back to the central computer system, in turn preventing it from cutting out as it usually would, despite your higher travelling speed. In general, these can allow you to at least double your speed, although they will not provide any extra acceleration power. What kind of motor your bike comes with. Not all motors can be derestricted using a tuning device. If you are yet to purchase your e-bike, you may want to check first which motors can be adjusted using a tuning tool. Which tuning tools are compatible with your motor. In some cases, there will only be one suitable tuning device, whereas in other cases you may have a range to choose from. Ease of installation – this will include the tools and skills necessary to install the device, alongside the time it will take to install. Ease of Uninstallation – Just as important as installing the device, it is important that you are able to uninstall it. Beware that installing a tuning tool is likely to render your bike legally unroadworthy, so be sure to check that it can be uninstalled with ease if and when necessary. Functionality – Whilst some tuning tools can be turned on and off at the flick of a switch, others will need to be uninstalled completely in order to turn them off. Also, whilst some bikes with tuning tools are able to display the correct speed on the speedometer, others are only able to show half speed. 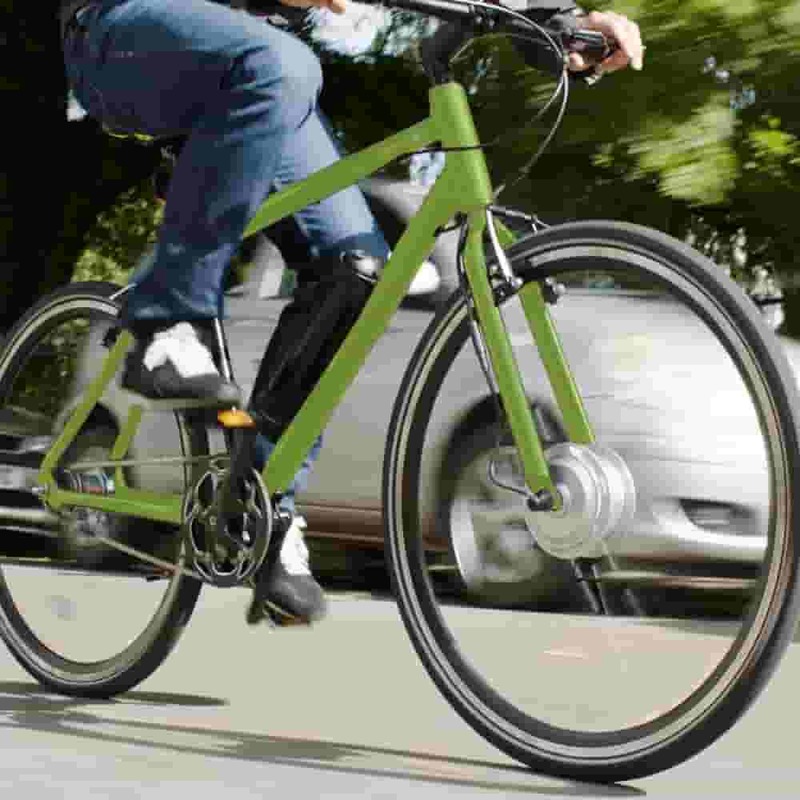 The downside of tuning devices is that the extra power required of the bike necessitates additional electricity, meaning lower output per battery charge. In addition, this increases the heat going to the battery which in turn decreases its lifespan. The added strain put on the bike overall will also result in increased wear over time. What Do You Need to Install A Tuning Device? First of all, you will require the relevant tools. Other than your standard multitool, which should include a Torx key, an Allen key, and a wrench, certain motor types will require specialist tools, such as a crank puller, a Spider or even a welder. Each motor type and tuning device will come with its own specialist method of installation, so it is best to research the exact method online for your particular components. Following the installation of a tuning device, you may experience some issues which require further fine tuning. For example, the pedalling cadence is likely to increase dramatically when you’re travelling at higher speeds in comparison to how it was before, which can make for an uncomfortable ride. The solution to this is to install a bigger chain ring with more teeth, along with a longer electric bike chain to match. These are just a few of the ways in which you can increase the speed of your e-bike. The key thing to be aware of is that if your bike can exceed the local speed limits, then it is probably only legal to ride it on private land. Always put safety first when it comes to increasing the speed of your e-bike and be aware of your local rules and regulations.